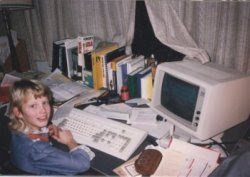 I am hoping that some of you reading this blog are younger women, just getting their start in technology. Some of you might be thinking, “Yeah, that might be useful information in a few years, when I’m interested in managing a technical team. But right now, as a programmer/lab tech/engineer this fashion stuff just isn’t relevant yet. Jeans every day, baby!” I get that. I lived that. I agree – no need to do this stuff before you’re good and ready. Wrinkles are almost impossible to get rid of. So are liver spots. Go take a moment and google “effective ways of removing wrinkles”. Notice how they are a) painful b) expensive c) quacky . Notice how many times they say, “This one really works, unlike all the other ones that totally don’t work”. Right now, you’re trying to look older than you are. There will be a blessed but brief period of your life where you will be happy looking exactly as old as you are. And then you will spend a long time wishing you looked younger than you are. Percentage wise, the largest period of your life is likely to be the “wishing you looked younger than you are”. But once you get to that age… there’s not much you can do about wrinkles or skin damage. So. Every day, put on a moisturizer with an SPF over 30 – even if you don’t currently care about how you look – just in case you change your mind. In the same way it’s much easier to prevent wrinkles than to remove them once you have them, it’s much easier to take smaller steps to prevent weight gain than it is to take the big steps needed to lose weight later. Now, I don’t think there’s much wrong with being overweight or large. I don’t think folks should strive to be skinny or hate themselves if they aren’t. I don’t think there’s evil in chocolate cake and virtue in celery. However, being overweight is another cultural stigma that has to be overcome to gain acceptance in certain circles. If our goal here is to be taken seriously, it is an easier task for a person of normal weight (however normal may be defined) than a person who is not a normal weight. Not only that, as any plus-size shopper can tell you, it is much easier to get fun, flattering, professional, inexpensive clothing when you are roughly the size and shape that designers are working on. If you’re in the middle of the size bell curve, you can go to any store and find clothes that you can wear. If you’re at either end of the bell curve, the chore of shopping gets much harder, more disheartening, more expensive and offers fewer options. Current studies are showing that the single biggest impacts on weight gain is sweetened beverages – even if they have no sugar. Apparently, aspartame and some of those other sweeteners play nasty tricks on your metabolism. So if you’re a perfectly fine weight now, and you drink two sodas a day… well, cut down to one. Cut down to none. Develop a love for coffee/iced tea/water. Chances are you’ll thank yourself 30 years down the road. I have mixed feelings on this one. I’m pretty sure there is a cultural shift from the time I was breaking in a decade ago to now. A decade ago, this would have been no-brainer advice. Now, so many qualified people are highly inked that it may not offer an impediment. But if you keep your tattoo in a place you can choose to reveal (or not), you can play it both ways. You should think about the impact of what you choose to have tattooed as well. Celtic knots/geometric shapes are pretty neutral. Arcane code snippits (ok, I’ve never seen that, but you never know) might make it hard for folks to imagine you as CTO. Anime might make it harder for you to get people to take you seriously. Too much to look at on your skin that people get distracted from what you say because they’re trying to figure out what that bit is right there, and means people will be looking at your body instead of listening to your words. Look at the people in the roles you’d like to be in. Any more ink than they have, and you will have to work a bit harder and be a bit more qualified to get the same role. So am I completely nuts? Terribly old-fashioned? Did I miss something obvious? What advice would you give your 22 year old self, if you could go back in time? If you’re the younger programmer, are you doing any things differently? What would your top three recommendations be?